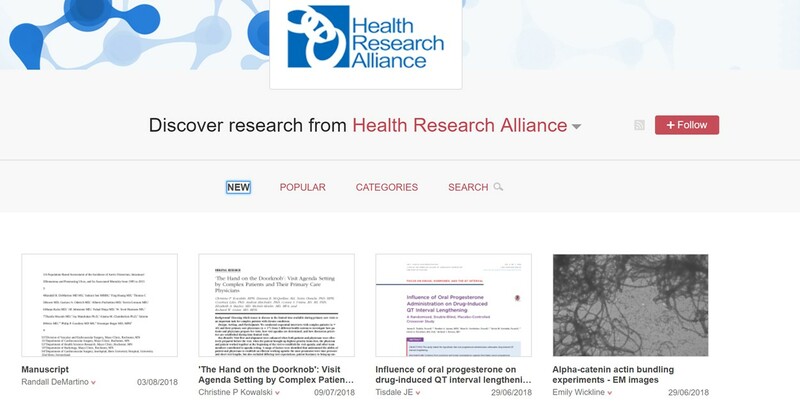 HRA Open is a web-based service sponsored by the HRA that not only promotes open science, but also enables HRA member-funded awardees to link grant support to awardees’ research outputs. We are excited to provide this service to HRA members in an effort to make science more OPEN and to enhance the ability to track the outputs of your funded research! To accomplish the first of these dual goals, HRA Open enables awardees to upload and share publications into PubMed Central (PMC) or Figshare. • Figshare which facilitates uploading other materials related to funded projects into Figshare, including figures, datasets, presentations, and other research outputs. HRA is pleased to offer this opportunity to the members who have a public or open access policy that requires the deposit of funded research papers in PMC. NLM has very strict requirements for the funders with whom they partner. For instance, similar to eligibility for HRA membership, NLM requires funders who are their partners to have a robust scientific review process. HRA Open is the platform that connects the functionality from these systems enabling not only the upload of publications and research outputs, but also enables linking outputs such as datasets, figures, preprints, presentations to the related publication, and then linking those various outputs to the grant that funded the work. We are excited to provide this service to HRA members in an effort to make science more Open and to be able to track the outputs of your funded research! HRA has hosted two webinars to review the “nuts and bolts” of what is involved in signing up for HRA Open, what is involved in being a funder admin and what awardees will see when they login to the portal. 2/26/2019: On this webinar we walked through what HRA member organizations need to do to participate in HRA Open along with what your awardees will need to do to use the portal, and a brief introduction to the NIH Manuscript submission system. The slide deck used for this webinar can be found here. 6/28/2018: View the webinar where attendees learned the “nuts and bolts” of what is involved in signing up for HRA Open, as well as using the Figshare enabled HRA Open portal, and the process for awardees to use the NIH manuscript submission system. The slide deck from this webinar can be found here. HRA Open administrator guide. Staff at HRA member organizations are the administrators of this system. Template email to invite your awardees to deposit their publications and other research outputs using HRA Open. HRA Open Guide for Awardees. View the webinar where attendees learned the “nuts and bolts” of what is involved in signing up for HRA Open, as well as using the Figshare enabled HRA Open portal, and the process for awardees to use the NIH manuscript submission system. The slide deck from this webinar can be found here. Want your organization to participate? Complete and submit the form below to participate in this valuable service. This is both HRA’s contact and the contact to whom we will refer your awardees should they contact HRA. If they are separate people, please note that. Beginning with what award year would you like awardees to be able to use HRA Open? Awardee data will be exported from HRA Reporter to HRA Open starting with the date this form is received. If past awardees are invited to use HRA Open a different process will be implemented to export their data so they may use HRA Open.